I see that the City Hall is currently struggling with the demands of environmentalists, who are demanding that steps be taken to protect one of city's few grand parks, the Villa Floridiana. It is not nearly as well-known as the Villa Comunale, the Public Gardens, down on the sea-front, or the vast grounds of the Capodimonte Museum, one of the royal palaces of the Bourbons from the 18th–century. 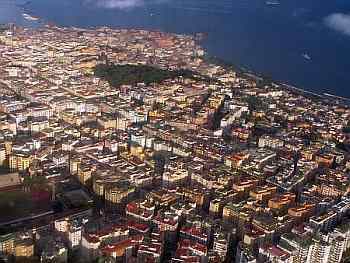 For a start, the Floridiana will be put under the auspices of the Naples Superintendency of Museums, and an initial 150 thousand euros have been allocated for maintenance and repairs of the grounds. Also, it seems that the employees of the Floridiana—a dozen or so—like to use the grounds as their own private parking lot. After all, when they come to work in the morning, there is generally no place on the street to park. They certainly can't be expected to use the nearby garages; they would have to pay, and we can't have that. Well, the streets of Vomero are no longer new and silent, but the Villa remains a peaceful place to get away from the last 100 years of progress. 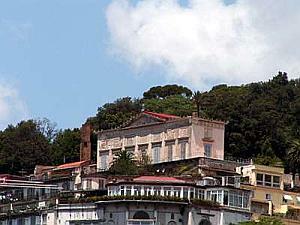 Since 1927 the villa Floridiana has housed the “Duca di Martina” National Ceramics Museum, a prestigious collection of European and Oriental decorative arts. The collection was built up by Placido di Sangro, Duke of Martina, and comprises some 6,000 items in glass, ivory, amber, lacquer, coral, tortoiseshell, enamel, and above all, porcelain and maiolica ware. On his death, the collection passed to his nephew who bequeathed it to the city of Naples in 1911. The displays on the first floor feature porcelain ware by various European makers, notably the Meissen works in Saxony and a large number of items from the works at nearby Capodimonte. The ground floor features maiolica ware, china from the Hispano-Moresque tradition, and glass ware. The basement section of the villa has a large display of Chinese and Japanese porcelain. 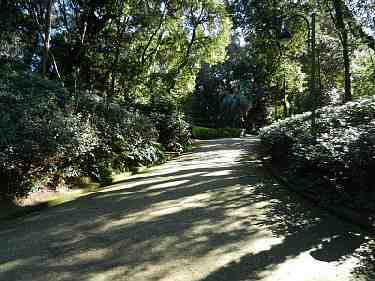 Spring is in the air, and one of the few places left in the Vomero section of Naples where you have usually been able to get a whiff of any air at all has traditionally been the Floridiana park. Recent rain and wind felled a single tree in the park a while ago; that caused a wave of bureaucratic fear of lawsuits, so the park has been closed until further notice while they examine the general state of the rest of the trees. This may take some time, as usual, since the contract between the park and the city ran out a few years ago causing a number of gardeners to leave and seek greener pastures elsewhere. This leaves the 120,000 residents of the immediate area with nowhere to stroll. Also, the cost of general maintenance (if and when the park is ever reopened) may require a small admission fee even to get into the grounds. As noted in the main entry (above), the park also contains the National Ceramics Museum. That will remain open via a secondary entrance. Although there are signs on the premises warning you "for reasons of safety" not to sit under the trees, the Villa Floridiana has been open again for some time. A few of the more heavily wooded trails have been cordoned off, but by and large you can wander in and around just like the good old days. There is still no admission charge.